For those situated near Prospect Park Brooklyn such as Park Slope, Prospect Lefferts Gardens, Ditmas Park and Windsor Terrace, as well as Flatbush Avenue, Grand Army Plaza and the Brooklyn Botanic Garden, if you are looking for exterior siding, there’s no other company you can trust than Good Guys Contracting. As Prospect Park and its surrounding area continue to become a popular place, residents, homeowners, apartment owners and landlords are looking for ways to keep up with the times while also getting a return on their investment. 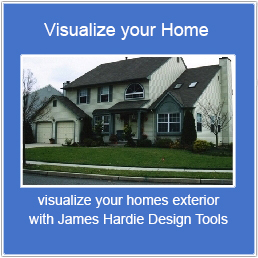 James Hardie products are built to withstand fluctuations in climate. It’s also fire resistant and their ColorPlus Technology is designed to withstand UV rays and other harsh weather conditions such as hurricanes and blizzards which are great for those living in Brooklyn, NY. When giving us a call at Good Guys Contracting, we will schedule a meeting at your residence near Prospect Park, Brooklyn, where we go over the best James Hardie products available in the area. Based on the scope of the project, we will provide you with a FREE quote to help you get started. With over 20 years of experience, we have installed more James Hardie siding products than any other company on Long Island, and we are rapidly increasing the amount of installation in Kings County!